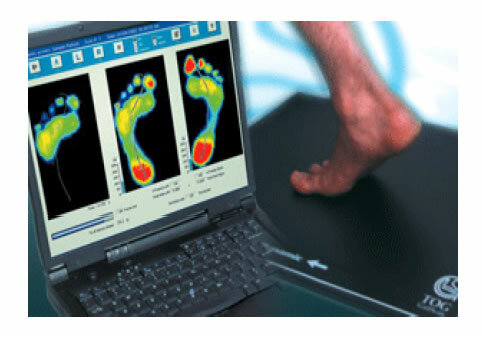 The GaitScan System is a revolutionary diagnostic tool for assessing your patient's biomechanics. GaitScan has an industry high 4096 sensors and scans at an industry high 300Hz (scans per second). These measurements provide today's Healthcare Professionals with a sophisticated explanation of foot mechanics and assists them with orthotic and/or shoe solutions. Why Use Technology Such as Gaitscan? We can order and prescribe custom orthotics directly form the scan that are delivered quickly and efficiently to our clinic. The patients like the visual representation and printouts that we can generate from the system with aids compliance. We sell the orthotics for over 3 times cost – a great income source for a great product – easily covering our monthly lease fee on the plate itself. To see a short video of the Gaitscan system, please click here.